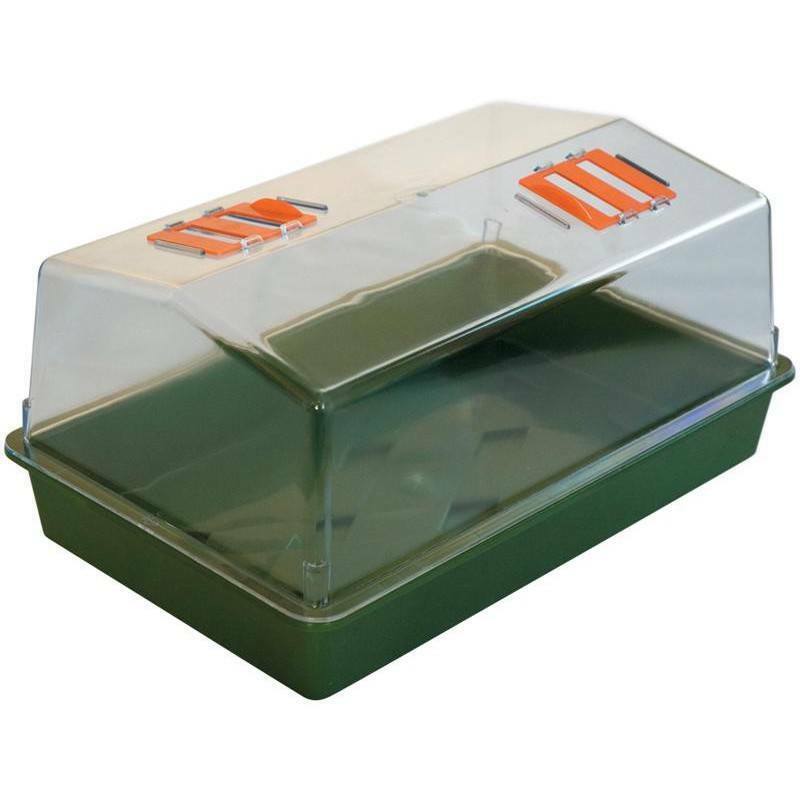 This mini greenhouse or propagator is perfect for maintaining a high humidity for seed germination or for clones/cuttings. Besides being solid and small, it is suitable for indoor or outdoor. This mini greenhouse or propagator is perfect for keeping an optimal relative humidity level. 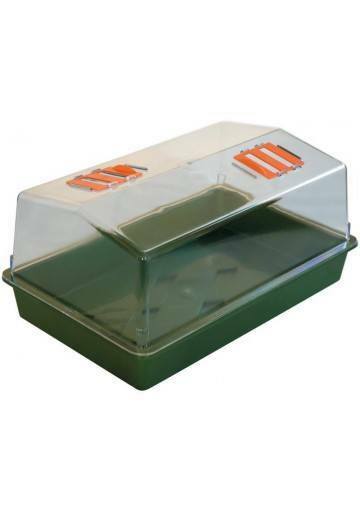 It was specially designed for seed germination or for growing clones or cuttings.This mini greenhouse includes drawers made in methacrylate which is a strong and isolated material and also have a transparent lid through which you can control the development of your seeds and clones all the time. Its measures 38x24x19cm. 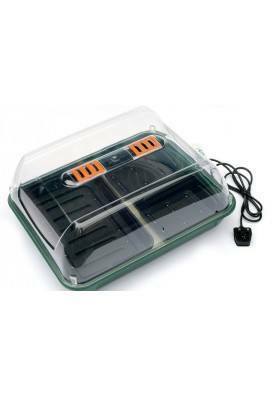 To use it, spray water inside and control the relative humidity level (which should be kept at 85-90%) through its adjustable ventilation holes or through a hygrometer within the box. Besides that, you can renew the air of the mini greenhouse through the upper window. When the seeds and clones are germinated, we recommend they not touch the walls and the roof of the greenhouse as otherwise they will rot quickly.